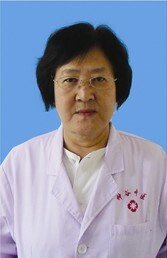 Graduated from Beijing Medical University, Jin Peiyu, the director of Endoscopic Department of First Affiliated Hospital of Dalian Medical University has nearly 50 years` experience on medical practicing, teaching and research. With more than 30 years` working experience on endoscopic diagnosis and rich clinical practice, Jin compiled the first Chinese endoscopic book Original Cloured Atlas of Upper Gastrointestinal Endoscopy and its matching video The Inspection and Treatment of Upper Gastrointestinal Endoscopy. Jin has achieved a lot on the diagnosis and treatment of gastrointestinal diseases, especially in early detection and treatment of lower digestive tract cancer. For the past 30 years, Jin has been concentrating on the treatment of chronic nonspecific ulcerative colitis and obtains obvious effect by the integration of Chinese and western medicine.